I am Jack Byno, A Euless traffic ticket attorney. I grew up in the City of Euless, Texas and graduated from Trinity High School in 1984. I got my first speeding ticket when I was 16 years old and had to appear in the Euless Municipal Court. Things are a little different now. These days I still find myself in the Euless traffic court, but now I am there representing my clients with all manor of moving violations, CDL violations, and lifting traffic warrants. When you hire me to represent you with your traffic ticket in the City of Euless or anywhere else in Tarrant County, Texas, I will take the time to inform you of your options. I am a strong negotiator and will look for the best deal I can make on your behalf. However, if you choose to fight your ticket in court, I am prepared to go to trial. I know the Euless court and I am ready to assist you. For more information about defending your traffic citation contact me. If you have received a speeding ticket or other traffic violations in Euless, Texas and need an experienced lawyer, Jack Byno & Associates can help you. I have been representing clients with traffic tickets in the various municipal courts of Tarrant County, including Euless, since 1994. There are few attorneys in the greater Fort Worth area that have more experience in the municipal court system. For most Euless speeding tickets I can work out a deal for deferred adjudication. Deferred adjudication means that you plead guilty or no contest to the charge, but instead of finding you guilty, the court places you on probation. Normally, I can work out a deal to get you time to pay your court fees when I enter the plea on your behalf. At the end of the probation period, providing you have successfully completed the probation, your case will be dismissed and the speeding ticket will not appear on your driving record or effect your insurance rates. However, if you violate any condition of your probation, this may result in a conviction. Contact me to see if you qualify for deferred adjudication. 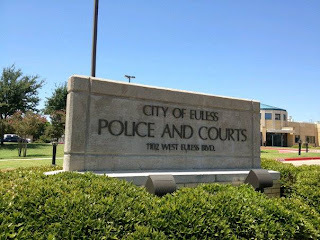 If you fail to respond to a Euless traffic citation in the time allowed by the municipal court, a new charge of Failure To Appear (FTA) will be issued against you and will result in a warrant for your arrest. Even though it is just a speeding citation you can still be arrested for traffic warrants. The experienced attorneys of Jack Byno & Associates can quickly lift your traffic ticket warrants and appear in court on your behalf. Do not think that you can just put your warrants off until you get around to it. The City of Euless actively pursues its traffic warrants and participates in the statewide warrant roundup. Thousands of Tarrant County residents find out every year that they have made a big mistake when the police come knocking on their doors, show up at their jobs, or arrest them at a normal traffic stop. Save yourself the trouble of being arrested and contact me today to lift your traffic warrants. More about the Euless Warrant Roundup. Almost every single thing that is sold in the City of Euless, Texas enters the town on a truck. Who drives trucks? People that hold a commercial driver's license or CDL. We rely on them for our food, clothes, toys, and more. The problem for truck drivers is that it is difficult to maintain a CDL. Truckers are held to a higher standard for their special class of driver's license. To put it plainly, they are not eligible for the things most people take for granted, like deferred adjudication (probation) and defensive driving. What is a CDL holder with a Euless traffic ticket to do? Well, unless he is competent to represent himself in the municipal court, he would be best advised to hire a traffic ticket attorney that has many years of experience dealing with the court, like Jack Byno. In most cases our attorneys can minimize the damage of your moving violation, but if we cannot, you can retain us to fight your traffic citation in a trial. Contact me today to see how we can help with your CDL violations. Regardless of whether you have speeding tickets, CDL violations, or traffic warrants you need a traffic ticket attorney with the experience to help you in the City of Euless Municipal Court. Jack Byno has been representing clients in the Euless Court since 1994 and can assist you!